Drawing Club is a monthly drop-in experimental drawing session hosted by Resort Studios. Drawing Club takes place at Resort on the first Wednesday of each month from 7 to 9pm. Each session is run by a different artist or designer and is themed accordingly. The focus of the sessions is on experimentation and having fun; there is no need to be able to draw technically well at all. Past sessions have included drawing with sound, drawing on the beach and making shadow puppets. 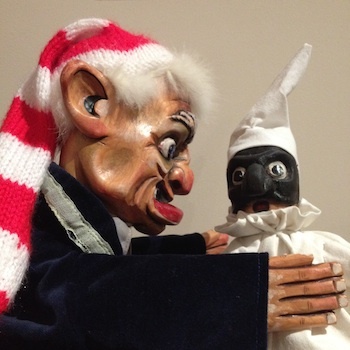 This month’s session is run by puppet maker Brina Babini and puppeteer James Frost. Brina and James have kindly agreed to allow us to use their puppets as models. Participants will take turns to pose the puppets while everyone else draws. All are welcome, no need to be ‘able to draw’, you just need an open mind.